There's a chance you'll be able to see the Northern Lights tonight in Western New York. 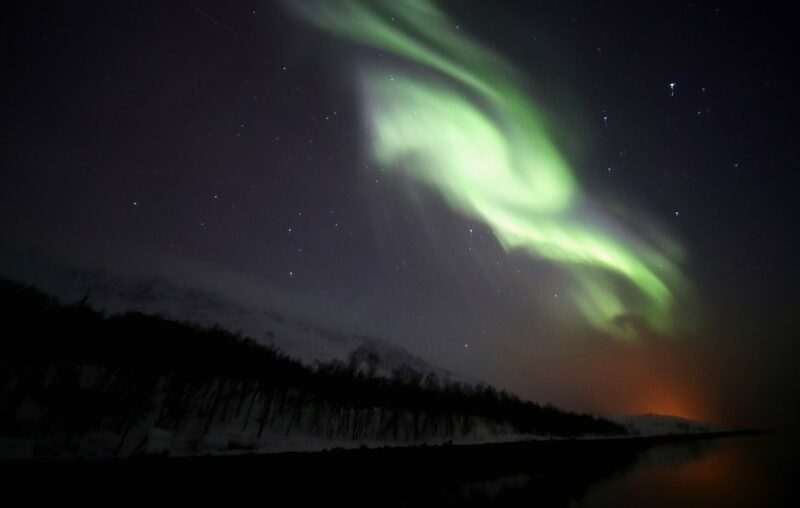 "The NOAA Space Weather Prediction Center has indicated that a Coronal Mass Ejection from the sun is expected to strike Earth and touch off aurora borealis (and australis) displays that may reach as far south as Pennsylvania in the Northeastern United States," the Whitworth Ferguson Planetarium at SUNY Buffalo State College said. The best time to try to catch a glimpse of the Northern Lights is between 8:30 and 10:30 p.m. Saturday. Planetarium staffed also urged anyone who wants to try to see the aurora borealis to head away from the city. The Planetarium happens to be showing a program at 7:30 p.m. called "Solar Superstorms," explaining how this phenomenon works.